We have been open for over a year now, and here you will find two very different packs both named Helidos, the pack of good, and the other - Erenyx, the pack of evil. 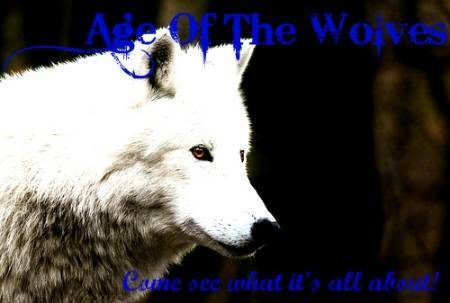 The white wolf of the south whom rules the pack, Helidos, is Alpha Azul, he is the Site Owner of Age, and the Co-Owner, is none other than the ruthless, obsidian Alpha named, Steele. As much as these packs vary in differences, wolves still make bonds and become friends. Lead into the lives of both danger and new experiences from a wolf's point of view. There are many high positions still open, and lots of room for joining members today! Come join us, and run with the wolves of the pack you will choose! Here, you can find me @Beta Juno! Unable to advertise back on the grounds that it would require becoming a full fledged member. Ad to be removed shortly.